Home » Blog » How to Buy a steam cleaner for a moving out cleaning? Steam cleaners are available in three main types – steam mop, handheld and cylinder steam cleaner. We think we know what to recommend when choosing the right steam cleaner for your home if you do a Carpet Cleaning in North London. What is a good steam cleaner and what can it do, what the accessories are for and how much you should expect to pay for a good one? Those are all questions we with our experience over the years will try to answer. Of course, if you’ve already got an idea of the model you want, head straight to the shop or visit the website to buy one of the latest handheld steam cleaners. You might associate steam cleaners with carpets and upholstery cleaning – but multi-functional steam cleaners can use steam power to refresh only carpets and rugs, clean tiles, windows and more, without the use of chemicals or cleaning detergents. A steam cleaner works by rapidly heating up water to produce steam, which is then applied to the carpet or upholstery or a surface at high pressure. This produces a ‘dry’ steam that manufacturers claim is able to bring up dirt and grease, and kill bacteria and dust mites. Our tips should help you choose the best model for your home and budget. What types of steam cleaner are available? Steam cleaners come in a range of shapes and sizes – but generally resemble vacuum cleaners, coming in cylinder, upright or handheld varieties. Handheld steam cleaners are lightweight and easy-to-use – but steam won’t last long. Cylinder steam cleaners (also called barrel steam cleaners) are composed of the main body, bendy hose, plastic tube, and a nozzle – they look similar to cylinder vacuum cleaners. They tend to be heavier than steam mops but on average offer, longer steaming times. However it can take anywhere between four and 12 minutes to heat up the water in their tanks, so they’re not as quick to use as the handhelds or mops. Which companies make steam cleaners and how much do they cost? Bissell, Shark, Karcher, Vax, Morphy Richards, and Polti are among the big brand names who produce steam cleaners – with stores including Argos, John Lewis and Tesco all stocking steam cleaners in their household departments. Some steam cleaners can only be bought online, like the Vapor A from VapourTek. Prices depend on the size and model but expect to pay from £100 to £370 for a hand-held steam cleaner. What steam cleaner accessories should I look out for? Some steam mops include accessories for other cleaning jobs. Some steam cleaners can perform more than one task – doubling up like vacuum cleaners with water-based filters, or even featuring attachments that can power a steam generator iron. What should I look for when choosing between steam cleaners? The capacity, heat-up and steaming time are important factors to consider as well as the price and the warranty time. The heat-up time displayed in the model specification refers to how long the machine takes to reach steam generating mode, which will depend on the capacity of the machine. Hand-held steam cleaners are lightweight and easy-to-use – but steam won’t last long. Some steam mops are ready to use in 20 seconds, others take more than a minute to heat up. The steaming time is how long you can use the cleaner for with continuous steam before it needs refilling with water to generate more steam. The small water tank on some steam cleaners means they’ll only generate steam for short bursts before you need to stop and refill. Depending on the model, with steam mops, you can steam anywhere from 10 minutes to nearly an hour before you need to refill the water tank. Professional Cleaning London End Of Tenancy provides quality services at best prices. Cylinder steam cleaners come with an array of tools to tackle different jobs – but not all are suited to all jobs, for instance, some cylinder steam cleaners are not suitable for cleaning upholstery and others warn they should not be used in ovens. So before you buy, make sure the accessories are suited to the jobs you want them to do. 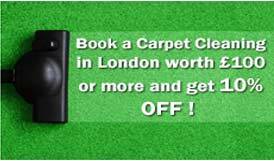 Best Cleaning London rug cleaning service aims at restoring the beauty, vitality and the original freshness of all your rugs. It is very important to buy a steam cleaner which will be able to be used for ovens and hobs and air extractors as this is the first area which you will start with when cleaning your kitchen as part of your moving out cleaning. A nice steam cleaner will also be used in cleaning the fridge and defrosting the freezer, removing all the food leftovers from the dishwasher and then if needed cleaning all the difficult to reach areas of your washing machine. It is of a major significance not to have to refill it for a whole kitchen cleaning as otherwise, you will have to wait for it to cool down and then unscrew the pressure tap and after that refill it again and then wait for it to reheat the water up to 150-160 degrees C.
It is an extremely useful part of the equipment for end of tenancy cleaners London as well. Those teams equipped with the steam cleaner will achieve better results in professional cleaning a flat or a house in less time than those who are trying to perform cleaning for end of tenancy & upholstery without it. It can and should be used on bathroom tiles and showers as well as cleaning the floors with the special cleaning pads – for wiping surfaces down. We used VAX and Polti Vaporetto during the years and we certainly can recommend those to you – our customers. Because we have used them for many years starting from 2003, we can say the steam cleaners are effective at reducing allergens. And according to the British Allergy Foundation, they have awarded their ‘seal of approval’ to several models of steam cleaners, given to products which it deems can lead to ‘significantly reduced allergen content’.